I really need to get a tripod. Balancing my camera on the dresser is getting really old. I promised about two months ago that I would begin attempting more Korean-style fashion, and while my commitment to consignment-only fashion has had to adapt to living 7,000 miles away from my favorite stores, I’ve also just been being lazy. It’s easy to get carried away and buy a lot of clothing that I will never be able to bring with me when I leave Korea. I’m still trying to stick to the “Buy one thing, give away one thing I already owned” rule. That said, a good Modcloth addition is invaluable from time to time. In the attempt to appear a stern and serious teacher, I pulled together this 1950s-esque outfit for the first day of the new term. The shirt is appropriate even for the land of never showing one’s shoulders, and the skirt created an awesome silhouette. 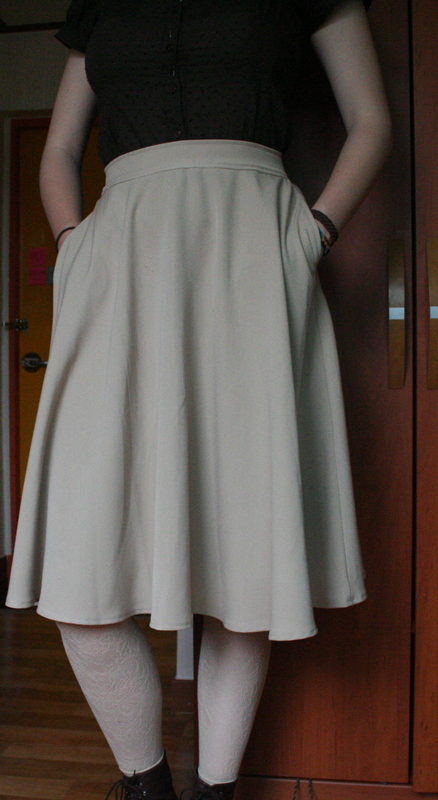 The best part, by far…the skirt has actual pockets. The kind I could actually put my hands into! The trick worked. My students who had never had me in class before seemed intimidated (though that could’ve been simply due to the newness of everything and/or my height). People said that I looked ridiculously like a schoolteacher. Precisely what I was going for, after all. I finished off my outfit with a medallion of the mountains of Boulder, which watched over my birth and life up to the point that I moved away to globe-trot. My jewelry always has some meaning, but carrying home around my neck feels special. 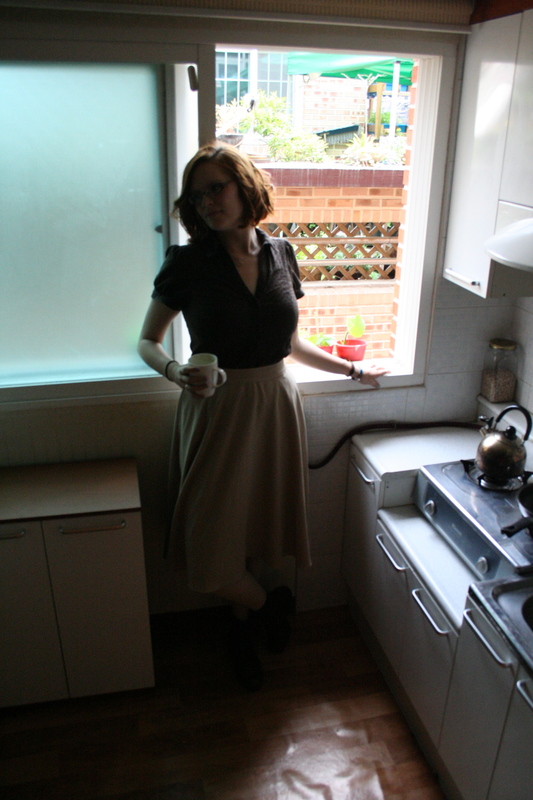 ModCloth Circle Skirt: $49 on ModCloth.com. 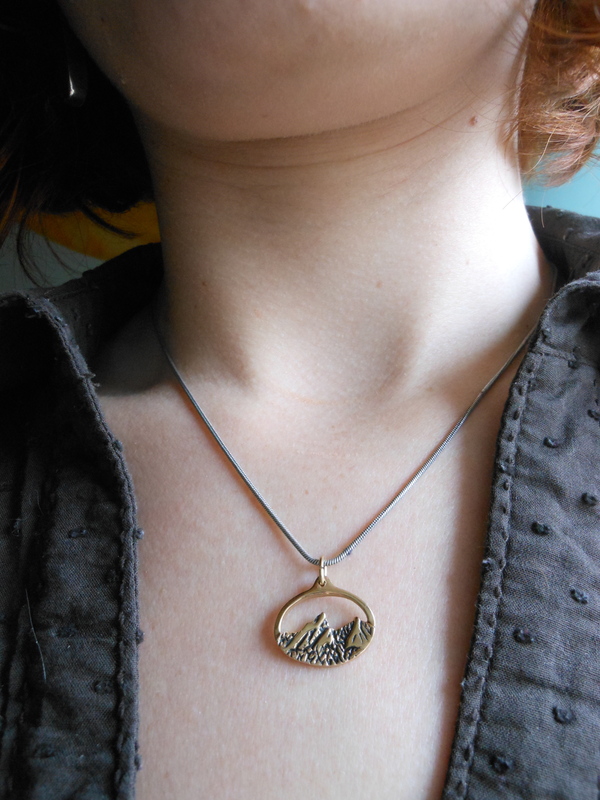 Necklace with the Flatirons: Gift from my parents!